OK. This is the last of the Shetland fleece samples from Cathy, and I have loved working with this one. True, it has had quite a bit of VM and a few second cuts, but it's softness has been heavenly and it's color variations a delight to the eye. If I had the entire fleece, I would want to either just tease or pick it, and then spin it by the handful, the way I do angora rabbit. This would have mixed the colors as I grabbed them randomly, and created a lovely variegated yarn. However, with just a little over 3.5 ounces to work with, I wanted to use it with my other Shetland yarns in a project. So I decided to drumcard the fiber to blend the colors. This closeup shows the lovely range of light to dark brown, all with champagne tips. A single coated fleece, it was the softest so far. Below is the color they all blended together to become. Even though I've finished spinning all the fleece samples, I still have some Shetland rovings that I bought for my Rare Breed Sweater. My next step will be to take an inventory of my Shetland yarn collection, start spinning some of those rovings, and think about possible knitting projects. I have something Fair Isle in mind, I'm just not sure about any of the details yet. Oh, boy, can't wait to see what you come up with this time! T.
It is really cool! T.
Lovely colors. I take it you are going to knit a Shetland samples something? 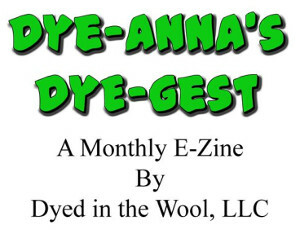 If you need more fleece - I still have Nikki, Sass, Peeps in the fleece (Henna in roving), a black Shetland roving (from Karen Gaietto), and 15 or so of the free fleeces (the last of your samples) so I will happily contribute more. Just say the word and the colors. There's more of a silvery and several fawns. And 2 islets (very filled with VM). Beautiful fiber. Any sweater you knit with this yarn will be gorgeous. As lovely as the color is, I am surprised at how short the staple length is. My neighbor Mim (Sheep Mom to 35+ Shetlands in who knows how many colors) and I were talking to someone recently who's interested in Shetlands - what do you say in 25 words or less? I understand elastic fine wools, but where's the luster? Why spin dull yarn when you can spin Shetland?? Did I mention that I'm not exactly objective??????? Looking back at the notes Cathy sent, I see that it is actually lamb fleece. So I guess that explains the length and softness. I agree about spinning Shetland! Besides its physical characteristics, I imagine that one can get every natural color yarn imaginable. And if it doesn't grow on the sheep, then the colors can be blended, right? the melange is beautiful, Leigh! they remind me of the warm browns of alpaca fleeces, they go so well together! I am sure you'll enjoy knitting them, too! BTW...we're all working to make you a Shetland convert, you know! ROFL! Well, it's working! I would love to try some of your fleece, Kathy. I'm sure all that waiting is tiresome. I'm sure it will be worth it though. Amazing work on the fibers! I loved seeing all those yarns together quite yummy. 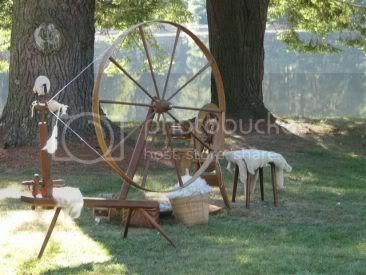 It makes me want to get back to spinning. These are just beautiful- Leigh! And I can't wait to see what these Shetland yarns are going to become!